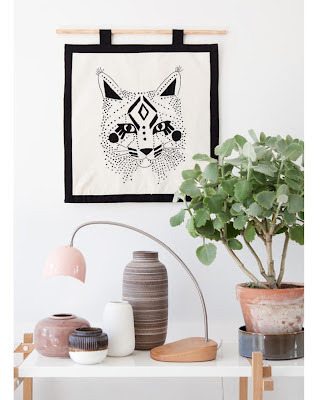 We love the Danish artist/designer Lisa Grue's delicate and unique embroidery kit. The kit contains everything you need to complete a beautiful, large-scale modern tapestry and is available in three color variations and three designs. Lisa will debut at the the International Contemporary Furniture Fair (ICFF) in New York from May 19-22, 2012 – we wish her all the best there. 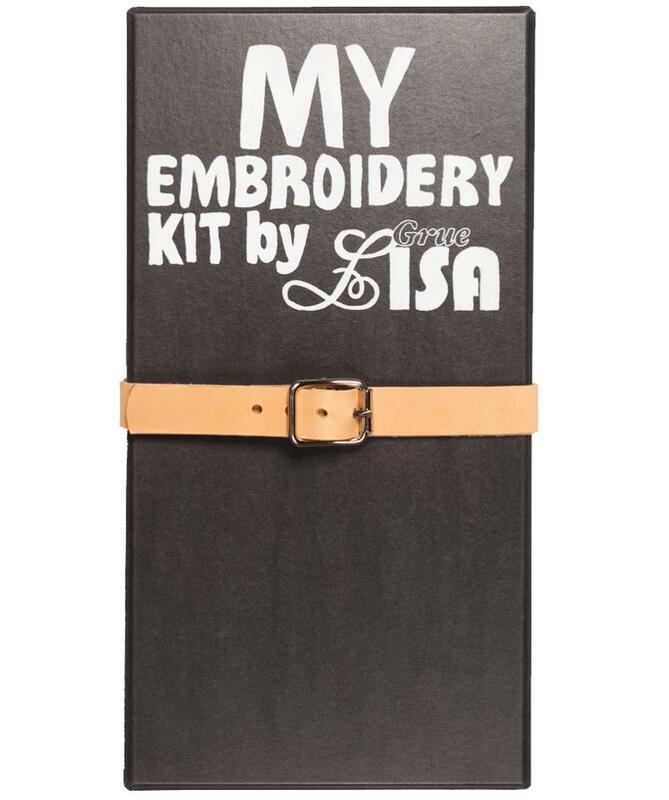 About the kit: The theme of the embroidery motifs is "Memento Mori" to remind people of their morality. Lisa's motivation for selecting this theme is her reaction to a stressful lifestyle. She thinks that we need to slow down and be present in our lives, and by doing embroidery, you are encouraged to slow down. 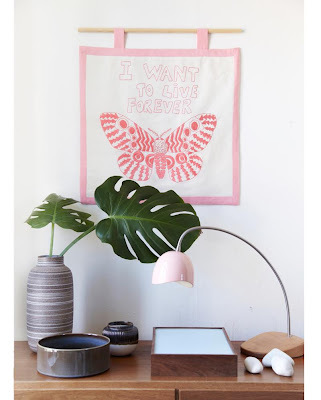 Embroidery requires concentration – it is a meditative hobby – a perfect stress relief tool. 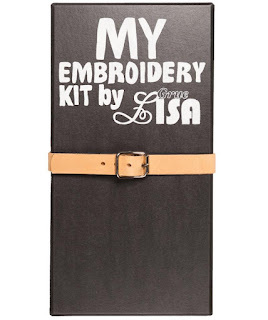 The "My Embroidery Kit" by Lisa Grue is an easy-level embroidery kit containing all of the essentials that one will need in order to learn how to hand embroider with a simple technique. I really like the work of Lisa Grue!